I started joining fun runs back in 2012, when Ateneo de Davao University calls all Atenean students/alumni to join the said run advocacy, RUN FOR SENDONG FAMILIES AND REBUILD LIVES. But that didn't stop me to join again, I also join iRUN: RUN FOR INTEGRITY(another run organized by AdDU), followed by the PHILIPPINE RED CROSS, iVOLUNTEER: RUN FOR HUMANITY 2012 and last but not least the PHILHEALTH RUN 2013: Nationwide Run for Mother and Child Protection. This time for this year 2015, I am planning to join COLOR MANILA DAVAO. For Dabawenyos who are asking what is COLOR MANILA, they are responsible in organizing a run that engage in giving a colorful festival that encourages everyone to run. Color Manila will be the paintbrushes while the runners are the PAINT. I read so much about their RUN from Franc Ramon site, every time I visited his post, I am hoping and wishing that Color Manila will also have a run here in Davao. So this is it! The wait is over. Please visit ADIDAS Gaisano Mall, TOBYS, or RUNNR. And claim your kit on-the-spot upon payment! Make your summer more exciting and fun. And experience a KALEIDOSCOPE FUN RUN this time! Eek, I hope it all goes well. the colour runs are so popular here in the UK at the moment. I haven't been to any fun runs before, I don't think I can take the heat haha. Have fun! haha, so franc ramon is like your run inspiration figure huh! hope you'll have lots of fun in this upcoming running event! Wow! I also want to try this :) Sounds fun and very affordable. Cool kit included. Me likey! Looking forward to your update about the run. sounds fun, lets give it a shot. I always want to give a try to these run but not sure whether can able to do it. All the best to you. 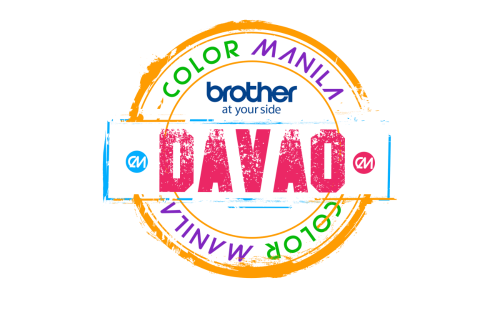 Finally your wish is granted that Color Manila is now in Davao. I'm sure you'll have a grand time there. An invitation for a colourful fun run., that will happened this May of 24. I do not run runs. But I know when my kids ever pick this sport up, their old man will have to be running with them. I think they will like a color run like this. This makes me wan to try a fun runs. This event is perfect for a family. I recommend this event to everyone. almost a year na that I missed joining fun run. hope you are now in tip-top shade sis. I am not a runner but this seems to be a good healthy exercise. best of luck. I think it's great that you have these races that bring people out. I'd love one in NY. I did a similar color run in Sacramento and it was loads of fun! 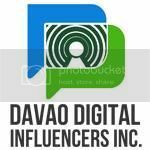 Good luck in your Color Davao run and post photos. I love reading about the color run races and seeing them too. Just never been in one but would love to one day.